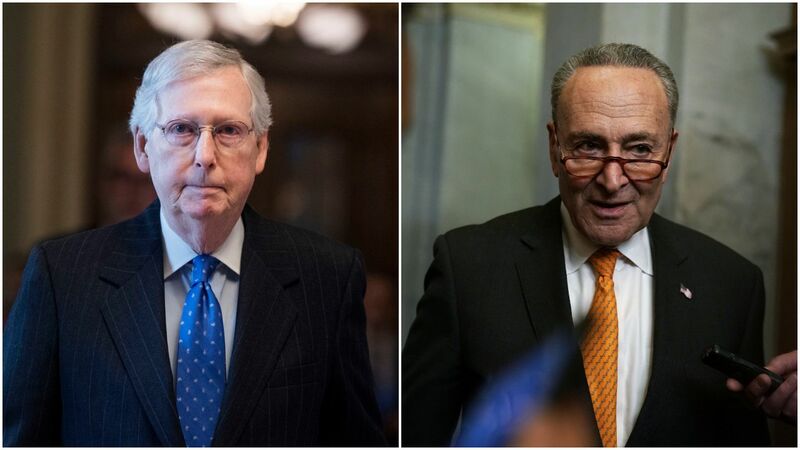 Both the Republican-backed Senate proposal to reopen the government — which included $5.7 billion to fund President Trump's border wall — and the Democrat-backed clean funding bill failed to garner the 60 votes necessary to advance either measure. The big picture: Neither bill was expected to pass. However, the Democratic proposal, which would have funded the government through Feb. 8, earned 2 more votes than Trump's plan to trade temporary DACA and TPS protections for a border wall. Six Republicans — Sens. Susan Collins (Maine), Lisa Murkowski (Alaska), Cory Gardner (Colo.), Mitt Romney (Utah), Lamar Alexander (Tenn.) and Johnny Isakson (Ga.) — voted in favor of both bills. Details: The final tally for the Republican proposal was 50-47. Republican Sens. Mike Lee (Utah) and Tom Cotton (Ark.) — an immigration hardliner — voted against the bill. Democratic Sen. Joe Manchin (W.v.) voted in favor. The vote count for the Democrat proposal was 52-44.